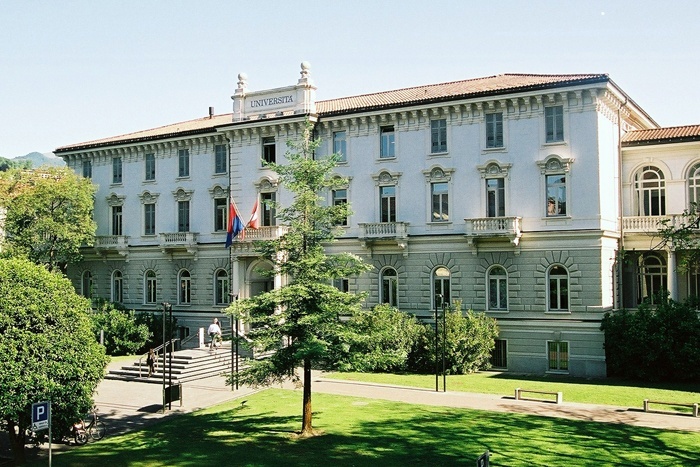 The MSc in in Management & Informatics is offered jointly by the Faculty of Informatics and by the Faculty of Economics of the Università della Svizzera italiana, USI, situated in Lugano – Switzerland. This full-time study programme comprises 120 ECTS spread over 4 semesters (usual duration 2 years) and is entirely offered in English. This unique cross-discipline programme combines USI’s world-leading expertise in Management and Informatics and offers exciting career prospects that range from project management to consulting. The programme has been designed to provide graduates from a wide variety of backgrounds with the necessary tools and skills for understanding complex information technology (IT) problems while, at the same time, knowing about the needs and requirements of a modern organization. The Master of Science in Management & Informatics has been designed to provide graduates from a wide variety of backgrounds (informatics, economics, mathematics, business, engineering, etc.) with the necessary tools and skills for understanding complex information technology (IT) problems while, at the same time, knowing about the needs and requirements of a modern organization. The shortage of professionals who can interface these two sides is apparent in many companies and leads to extra costs, development of less efficient systems, and general misunderstandings between the technical and organizational parts of a company. The purpose of the degree is to offer a solution to this problem, and to educate professionals who can take responsibility for the interface between these two sides of an organization. This Master offers a balanced combination of courses that cover the necessary background in management as well as the fundamental aspects of current and evolving information technologies. Moreover, the programme provides students with a specialized knowledge in topics at the interface between management and informatics such as enterprise resource planning. Since English is the unique teaching language, graduates are well-prepared to work in international companies. Moreover, the interdisciplinary approach of this Master provides a general skill to work across traditional areas. The Scientific Directors for this Master are Prof. Fabio Crestani and Prof. Erik Larsen. The formal requirement for admission is a Bachelor’s degree granted by a recognised university in Informatics, Economics, Mathematics, Business, or Engineering. The Master in Informatics is entirely taught in English. Applicants whose first degree was not taught in English, are required to at least have earned a B2 certificate according to the Common European Framework of Reference for Languages or an equivalent level of another proficiency certificate – e.g. TOEFL, IELTS. Whilst it is an important requisite to be fluent in English, candidates do not need to know or learn Italian in order to successfully participate in the programmes. As Lugano is located in the Italian-speaking part of Switzerland, students might be interested in acquiring the basics in Italian, in order to be able to get around in everyday life. The University of Lugano offers an Italian language study programme organized in various modules. All its non Italian-speaking students, researchers and professors are invited to participate free of charge. On the one hand, graduates from this Master will have sufficient knowledge in informatics to be able to interact with the IT department of an organization. This includes a profound understanding of the technical issues involved, the evaluation of technical proposals, and the ability to articulate possible solutions to the organization or customer. On the other hand, they also understand the tactical and strategic use of IT to enhance the efficiency of an organization and know how to explain the requirement of the users in terms that can be understood by the IT department or client. The primary labour market for the graduates of the programme is found in medium to large companies as well as the public sector, both in Switzerland and abroad. Most companies struggle with integrating IT in the organization and there is a great need for people who can be the interface between the technical and organizational parts of a company. Potential job profiles range from project management to consulting and include areas such as evaluating the benefit and managing the introduction of a new technology into an organization, designing and implementing small and large scale IT systems, and consulting companies and customers regarding the requirements and the limitations of IT systems. This full time programme stretches over two years. It allows students to personalize their study curricula according to their interests. The basic knowledge is acquired in the first two semesters. Students who obtained a Bachelor’s degree in informatics or a related field (mathematics, engineering, physics, etc.) enter the programme in the Informatics track and follow a set of courses that provide them with a fundamental insight into the management disciplines. In contrast, the Management track is tailored for students with a background in economics or management and teaches the basic aspects of informatics. In addition, all students attend mandatory courses that cover the interface between management and informatics. The third and fourth semester are dedicated to specialized courses and electives that can be chosen according to the students’ preference. Moreover, the students participate in a practical field project, which is done in groups for a real company, and conclude their studies by writing a substantial master’s thesis.